Afternoon tea at How Do you Do was first brought to my attention when I read this wonderful post from Katie's Cakes. 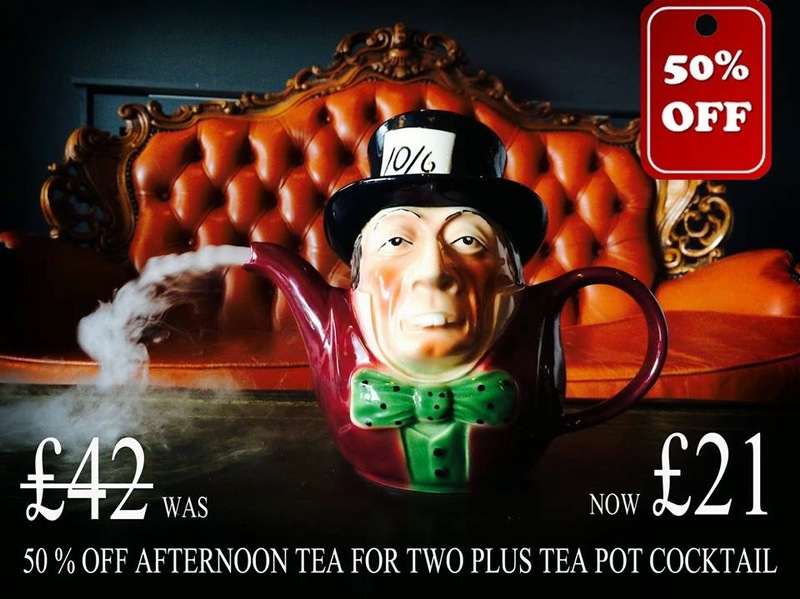 It looked like lots of fun and at only £21 for two people until 21st March (booking essential and T&C's apply) I knew it would be the perfect place to catch up with my friend. How Do You Do sit's on East Parade in Whitley Bay and if you are lucky enough to grab a window seat you will be rewarded with wonderful views out to sea. 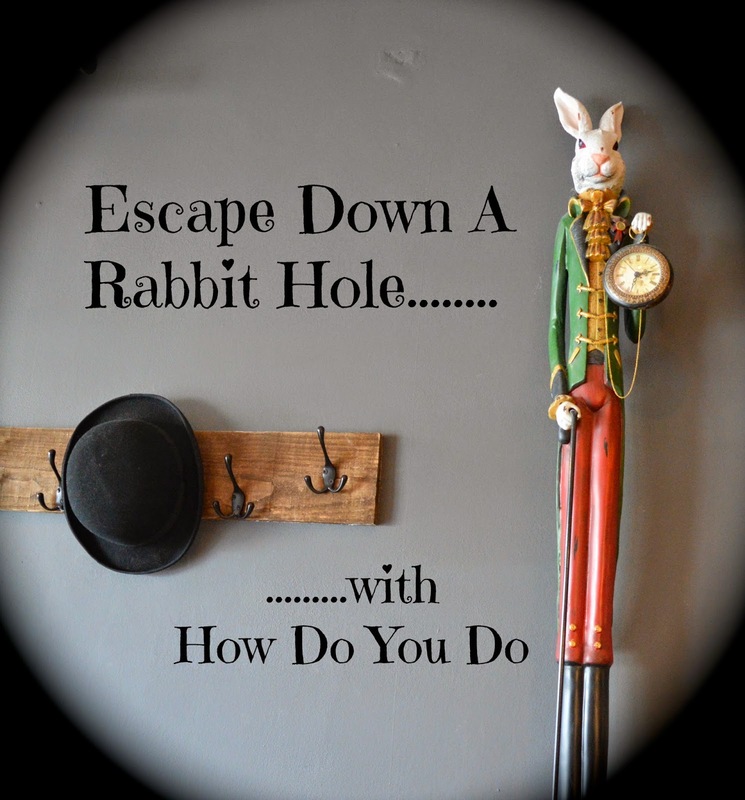 The whole restaurant and tearoom feels as if you have indeed tumbled down a rabbit hole. Expect to feast your eyes on potion bottles, Toby jugs, oversized clocks, vintage cutlery and lots of quirky nick nacks which really set the scene for your experience. This all might sound a little tacky but I can assure you it's not. Gorgeous chandeliers, cosy booths and even a piano in the corner all help to provide an overall elegant experience. We were greeted by the owner/manager Colin who is a wonderful host. He chatted to us about his afternoon tea concept and brought us our tea and coffee straight away as we relaxed into our surroundings. I have to say, we were more than a little excited and the anticipation was really building as we waited for our food to arrive. After 10-15 minutes our afternoon tea was brought to our table and we were not disappointed. Colin talked us through the dishes and explained everything down to the jam and truffles are homemade on site. The only thing that is bought in are the brightly coloured buns which are locally sourced from a bakery in Jesmond. First up were the sandwiches - Ham and mustard, Salmon, cream cheese and cucumber plus egg mayonnaise with the eccentric touch of brightly coloured buns. The sandwiches were fresh and full of filling and definitely had the fun factor. They are even served with edible flowers. The scones were warm and fresh from the oven. I don't ever recall being served homemade jam with afternoon tea and all of these little touches really do make a difference. Today we were offered rhubarb jam which is something I have never tried before however I have to say it was the perfect accompaniment to my scone and clotted cream. Next up were our treats - they were beautifully presented and I can't imagine how much effort the chef must go to to create them all. I am pleased they do though as each individual bite was perfect. Treats change daily but we were provided with sour cherry jelly, marshmallow clouds, fresh doughnut balls, homemade truffles and 'drink me' milkshakes. They are certainly the most unique cakes I have ever enjoyed during afternoon tea and I just love the imagination and thought that has gone into their creation. As if our tea wasn't spectacular enough, Colin provided a final flourish and brought a teapot full of a bakewell tart cocktail complete with dry ice and cherries. We LOVED this end to our experience and the cocktail seemed to be never-ending which provided excellent value for money (it is worth noting that tea and coffee is also unlimited and topped up at various points throughout your experience). We had such a fantastic time at How Do You Do. As a blogger, I am conscious that we may be given preferential treatment. With this in mind I always look at how the staff interact and chat with other customers as well as myself. How Do You Do really do a fabulous job in making every single customer feel welcome. The staff take the time to chat to you about your experience an are keen to listen to your feedback which is always nice to see. The restaurant was full of a lovely mix of young and old plus a few groups of friends. You were made to feel as if you were indeed part of something special. Restrictions: Valid Tuesday-Friday 12-3pm. Under 18's must be accompanied by an adult. Maximum of 6 people per table. Cannot be used to combine parties over 6 people. All bookings must vacate the restaurant before 4pm. How Do You Do really made a good impression on me. I have been admiring the photograph's of their a la carte and market menu's on their facebook page and I am going to book us in for an evening meal soon. It won't be long before you see us writing another How Do You Do review so keep your eyes peeled! 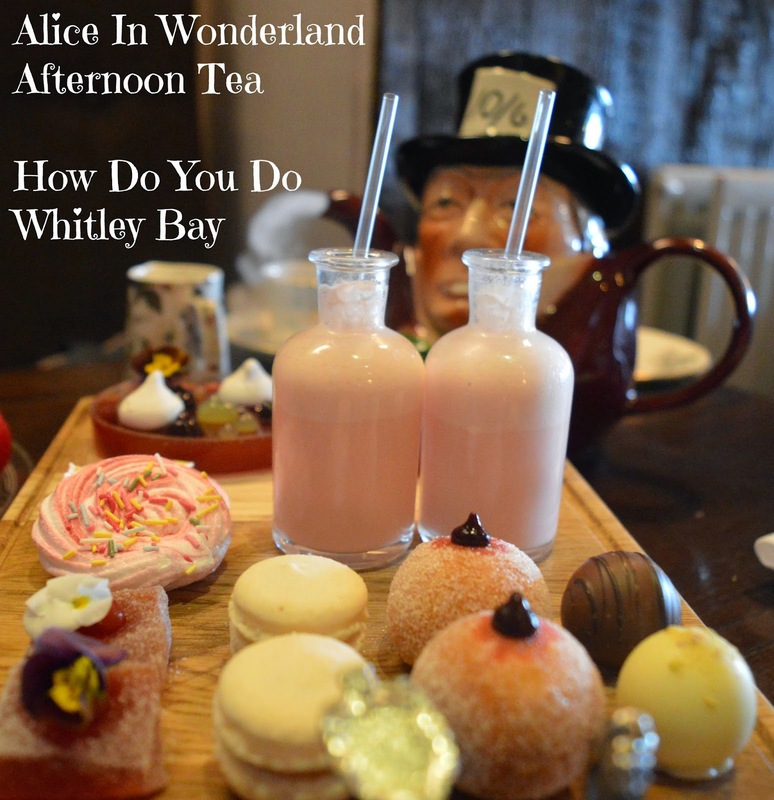 We were provided with a complimentary afternoon tea for two for the purpose of this review. As always we are 100% honest about our experience. Lovely for a treat I agree - I also needed a big lie down! Yes - the bakewell tart flavoured cocktail was wonderful and you can't beat unlimited fresh coffee! How Do You Do has been on my list for a while now (me and my damn list eh?!) ... I REALLY need to get myself there, it looks so so so so sooooooooo good! Next time we want to book ourselves an afternoon tea we'll definitely head this way! I've seen lots of reviews of this place and would so love to go. Every time I see photos it looks brilliantly sublime. Wish they did this on a weekend, I bet my mum and dad would enjoy this place.